The ace of the Rhythmic Gymnastics Club before Miu transferred in, Chihiro is extremely jealous of the younger girl. It was her report to Yasunaga (after overhearing a conversation) that prompted the home visit by the teachers to Ryōzanpaku. 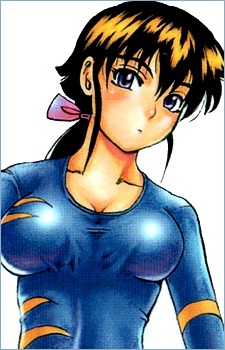 During the YOMI arc she attempts to get Rachel Stanley on her side to humiliate Miu, who always rejects her advice and then puts her in a wrestling hold. Her jealousy has greatly diminished since last year and appears far more scarcely than before. However, it could be noted that this may be due to the fact that she has grown accustomed to Miu's mannerisms as well as her vast improvement due to watching Miu in Gymnastics.